As a brand developer, Anne Miltenburg has worked with organizations, social entrepreneurs, activists and conscious companies all over the world, helping them tackle social and environmental challenges. 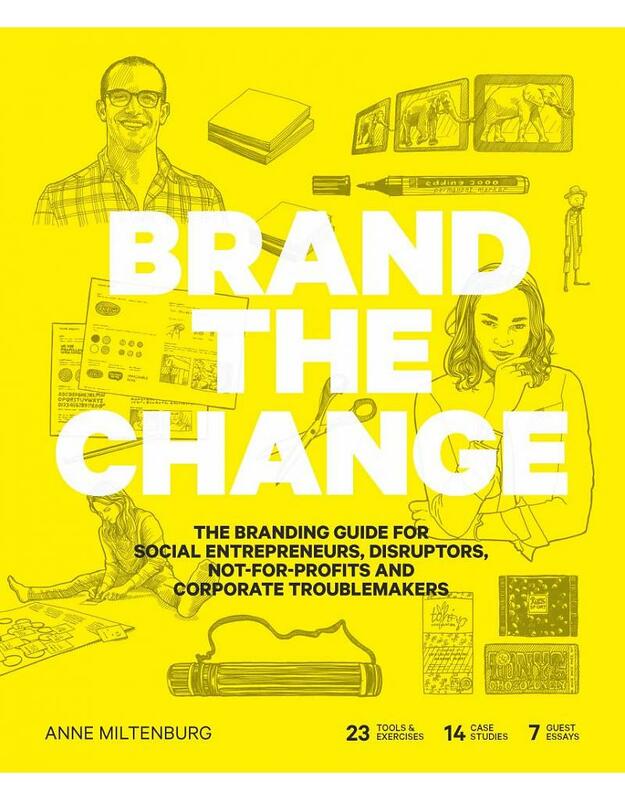 Shocked by the lack of knowledge that these changemakers displayed around the issue of branding, Miltenburg decided to write the book Brand the Change. Offering tips, tools, examples of success stories, the book is deemed the ultimate brand guide for social entrepreneurs, disruptors, not-for-profits and corporate troublemakers. SEE Change sat down with Miltenburg to discuss the specific and unique challenges faced by changemakers today when it comes to branding their business, the tips she’d offer anyone wanting to market themselves effectively and lessons learned from those who’ve done it right. What inspired you to write this book? What are you hoping it will achieve? In the past four years I worked with hundreds of (social) entrepreneurs across the world doing brand-thinking workshops in order to help them build stronger brands. I noticed participants were struggling with a lot of questions regarding branding that a one-or-two-day workshop could not address: questions regarding process, trademarking, design, marketing. The existing knowledge resources on branding were either at a very abstract level, by gurus who mystify branding or use examples like Apple and Coca Cola as reference, which are large, existing companies with millions of dollars in brand and marketing budgets that are simply not realistic benchmarks. Or there were blogs that oversimplified branding as a three-step process. We realized there was an opportunity to create a complete resource which unpacks the branding process while using inspiring, relevant examples for social enterprises. We would like to see social entrepreneurs equipped with the knowledge they need to build strong brands and realize the change they want to see in the world. What top challenges do social entrepreneurs face in trying to brand their businesses? It’s a pretty long list and changes per sector and region, but if I had to choose three they would be knowledge, money and clarity. There is a lack of knowledge: what does the branding process look like, where do I start, how much resources do I need to reserve, who should I hire? Branding is an expansive topic and there are few people who understand the entire scope of it; even those with a lot of experience working in the field professionally. So no one should be surprised that you can’t know everything about every aspect of it. But a great information resource can help to be better prepared, to have more support along the way, and to avoid avoidable mistakes. The second one is funds: most starting social entrepreneurs don’t have investment yet to allocate to branding and marketing. If there are funds, branding and marketing often seem far less important than costs that go to developing a good product or service. There is this dysfunctional belief that “if you build it, they will come”. Let’s be clear: if you build nothing, surely no one will come. But that is where the truth in that statement ends. The teeny tiny percentage of initiatives that become an overnight success, or go viral, blinds people to the sad truth that almost certainly, no one will come unless you put in a tremendous amount of work. Some experts even recommend investing 50 percent of your resources in acquiring customers, and the other half in the actual development of the product itself. Another aspect of a lack of funds is that many starting social enterprises can’t afford to hire experienced brand experts or marketeers, and have to do a lot of it themselves, while also trying to master a dozen other areas like finance, logistics, HR, etc. Learning to master an entirely new field of work, while also needing to take care of so many other things, can be draining and can leave you feeling inefficient or ineffective. The third challenge is articulating your product or service or articulating its value. Social entrepreneurs, in general, are great at explaining the bigger issues that they are trying to tackle, but less adept at defining their product or service clearly. We are just so attached to our ideas and so deeply convinced of the importance, it becomes really hard to actually see the forest for the trees. It sometimes takes a third party to come in and look at the offer to be able to articulate its true value to the users/customers/partners/investors, clearly and compellingly. Why do you think they face these challenges? Are they different from the ones faced by traditional businesses? If so, why? So many reasons, where to begin? Traditional businesses generally start at an insight: something that is missing in a market, something people want or need, that they develop a solution to, and then they market that solution to the person with the problem or need, based on the insight. It’s a reasonable straightforward process. Social entrepreneurs have an offer that is much more intangible than a product or service, for instance, an idea for change you want people to buy into, or a particular change in behaviour. That is much harder to grasp and needs a lot more framing and psychology than a tangible product. Or, what social entrepreneurs do is entirely new and defies conventional terms, which makes it much harder to ‘sell’ than something people already know and understand. When manufacturers first started advertising fridges, they had to explain the benefits of keeping food cool to people – less food poisoning, better health for the family, food lasts longer which means you save money. You no longer need to explain those benefits today, you would look absolutely silly. But for a lot of completely new ideas or products/services, they have to start at that level too. And again, of course, money. There is still less investment in social enterprises, as well less knowledge on how to attract that investment, and therefore there is a lot of DIY and hustle involved in the day-to-day. Investing a thousand bucks in social ads, if done well, is a much quicker route to building a following than painstakingly building it tweet by tweet. Without the capital, you move slower. There are some exceptions of course, like the March for Science (we interviewed one of the movement’s leaders for the book, Dr. Ayana Johnson), which galvanized an entire network of volunteers. But in my experience, volunteers don’t provide the long-term support you need, it can be very unsustainable as a model. Another tough element to social enterprise: social enterprises often have more stakeholders which makes it harder. If, for instance, you work in ocean conservation, you need to get policy makers, fishermen, local communities and conservationists on board. That can make it very hard to create focus in a brand. Social enterprise also struggles because the industry is not as sophisticated yet. For instance, you often don’t have access to market data, because for your offer there is no existing market, or no research has yet been conducted that you can pluck insights from, and it is too expensive to commission research at volume yourself. Last but not least, I always notice there is a huge amount of hope and optimism, because social businesses feel they are the good guys and deserve great things to come to them. That businesses selling ‘bad’ products need branding, and ‘good’ products will sell themselves. 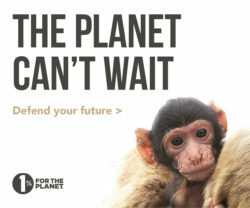 I love the idea of karma but we should not let that stop us from getting a smart plan together just in case the universe is busy somewhere else. Can you provide a couple of tips/lessons learned of social entrepreneurs who were able to overcome those challenges? In the book we feature the case of Soko, an ethical jewelry brand that chose to go the wholesale route first, because they are able to sell much more at volume while investing less resource per sale as they would when they have to market and sell direct to consumers. 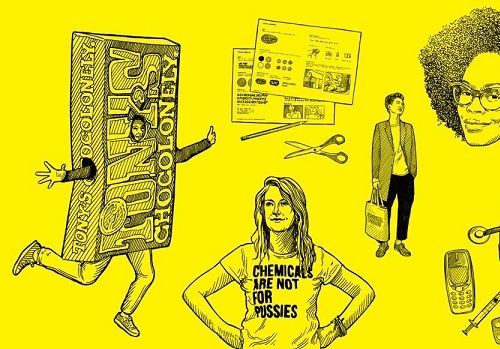 Or Tony’s Chocolonely, once the underdog activist anti-slavery chocolate project, and now the biggest chocolate brand in the Netherlands, by combining their message of making chocolate slave free, with a fun loving and slightly nuts brand personality. We included a guest essay on marketing sustainable products, and how you can use market research to find your audiences. What do you think social entrepreneurs can learn from traditional businesses when it comes to branding and vice versa? I would love to see social entrepreneurs have a really keen eye for competition. And not just direct competition, like someone who offers the exact same thing, but a deep understanding of what or who it is that you compete with. I worked with a human rights museum once, whose director told me when I asked her who her competition is, that they have no competition: they are the only human rights museum in the country. My reply was, that they do have competition but of a different nature – they compete with other museums and cultural institutes for philanthropic donations. They compete with the movies and the beach, as other things for families to do on their Sunday. That understanding of competition should inform their brand and their marketing. For traditional businesses that have no purpose or lost it along the way I hope they will go back to creating a meaningful product or service, instead of just adding a varnish of use-fullness or social impact to their advertising. People are smart and will see through you, so better make it real. It will do wonders for your profits and team spirit too! Any lessons learned from your personal experience working with these businesses and writing this book? We need to do great ideas for change and justice and sell them really thoughtfully and strategically, to the biggest or best audiences possible. We need to do it effectively and quickly, because a lot of the issues we are working on won’t allow for two or three decades more waiting time. Documenting and opening up knowledge, building case studies and creating a community around how we sell the change we want to see more effectively is crucial, and this book is only the beginning. Click here to learn more about Brand the Change and order your copy. Elisa Birnbaum is the publisher & editor-in-chief of SEE Change Magazine and the host of its podcast. Her first book on social entrepreneurs tackling challenges in their communities and their lessons learned will be published this June.